1. Completely phase out land-based biodiesel by 2025 at the latest. Currently EU biodiesel performs on average 80% worse than fossil diesel. It is increasingly sourced from palm oil and has huge negative climate, environmental and social impacts. It must be phased out as soon as possible. 2. Decrease the cap on all land-based biofuels to 0% in 2030. First-generation biofuels which require large amounts of land to produce energy are not a scalable or sustainable solution to decarbonise transport. 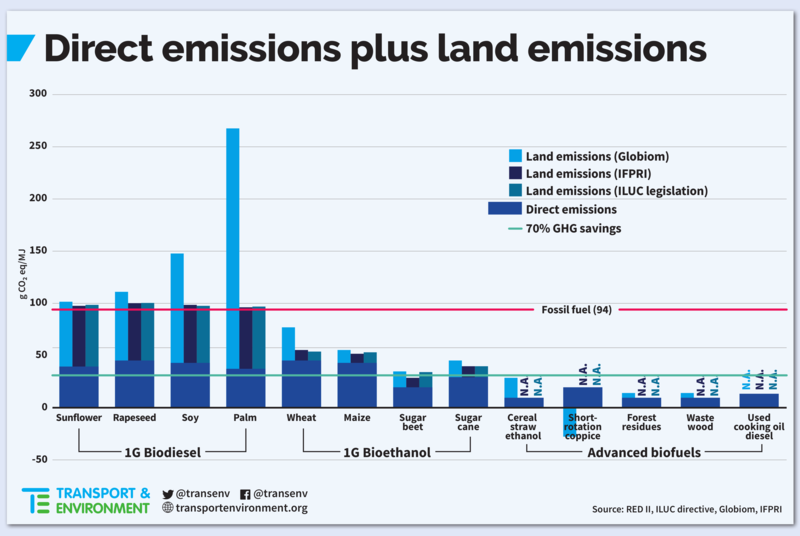 Support for land-based biofuels should be completely phased out, especially given that EU policy does not take into account indirect land-use change emissions. 3. Ensure the quality of advanced (bio)fuels. Advanced (bio)fuels can make a contribution to reducing transport greenhouse gas emissions. However the 6.8% blending mandate proposed by the Commission will require additional quality safeguards to ensure advanced fuels result in real emission cuts. 4. Adopt stronger incentives for renewable electricity in transport. Just like advanced biofuels, electrification of transport needs to be incentivised. This could be done with a separate target for electrification or a multiplier. Ensuring an accurate accounting system for measuring renewable electricity in transport is essential. My conclusion is that it is important to distinguish between first-generation land/food-based biofuels and advanced biofuels. Although advanced biofuels may have a positive effect on the climate and the biosphere as a whole (in comparison to fossil fuels), the basic problem remains unsolved, which is over-consumption. If even low-emission fuels were available to the fulfill the demand, this may overcompensate the savings of carbon emissions, because people may feel free to consume even more, therefore, the strongly needed changes in behaviour, ie a 10-fold reduction of consumption (see ) , may not be achieved. In summary, advanced biofuels are acceptable if evidence for lower impact on carbon emission and biosphere is provided and at the same time consumption is controlled or even reduced to achieve the climate goals.